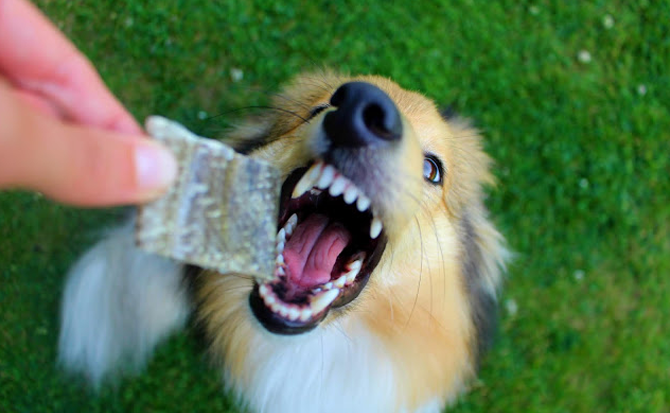 As a carnivore, your dog should have a splendid set of strong teeth. Back in their wolfish days, they needed their amazing gnashers to tear into their tough, scavenged meals. These days, they’re more likely to chew on your shoes; however, now they’re no longer keeping their teeth strong by tearing into prey, it’s up to us as their owners to take care of our canines’ canines. Let’s have a closer look at your dog’s teeth, and at what we can do to keep their mouths healthy. Dogs have an impressive 42 teeth, ten more than we omnivorous hunter-gatherers have developed. Have a look at that spectacular upper premolar, called the carnassial tooth. This is a special carnivore-only tooth, a premolar with a sharp cutting blade – and the reason why you’ll see your dog chewing to the side. Like us, dogs are born with milk teeth, which they’ve shed by about four months. All puppy owners know when their pet is cutting their new teeth as nothing is spared from being chewed! Also like humans, there’s no third chance: if a dog loses any adult teeth, that’s it. So, it’s super-important to look after your dog’s teeth and gums. If you can start a dental routine when your pet’s still a puppy, brilliant – they won’t know any different. It can be a bit trickier with an older dog, but with patience, you’ll get the hang of it together. Choose your dog’s most docile time (after a long walk perhaps), and use a tempting-sounding doggy toothpaste like poultry or beef. Just brush a couple of teeth the first time, and work up to the whole mouthful. Be slow and gentle with your brushing, and speak in a soothing voice. Because Guru food is cold-pressed, it retains more of its essential nutrients than cooked dog food. This includes omega-3 from the fish and rapeseed oil, calcium from the broccoli, and vitamin A from the meat, all of which benefit dental health. Plus, we’ve added nature’s breath freshener, parsley! Chewing keeps your dog’s teeth and gums strong and healthy. There are a lot of chewy toys in the market, designed to be just the right texture for them to get their teeth into. 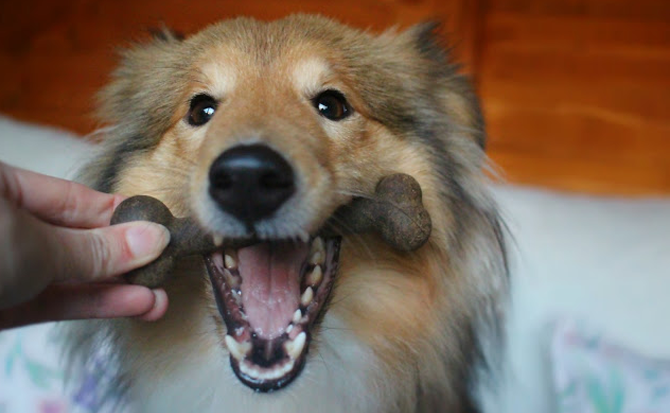 A real bone is a great treat for your dog, and is brilliant for strengthening their teeth. However, watch out that they’re not biting on too-hard objects, as this can actually damage their teeth. 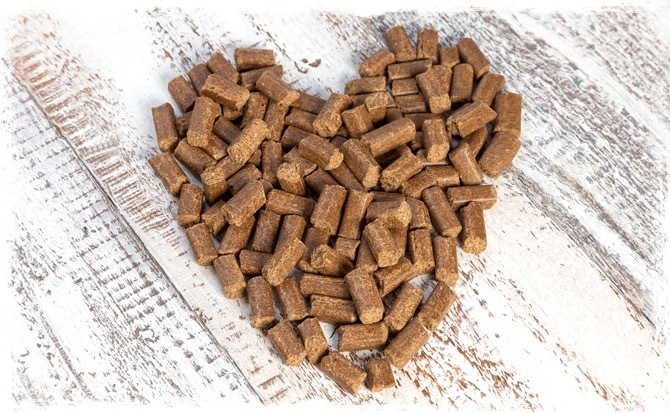 A Guru-fed dog has all the nutrition they need; however, it’s nice to give them an extra treat from time to time, so why not try our Cold Pressed Trip bones or our Nothing to Hide ‘Reel’ Fishskins? All of these treats help promote dental hygiene, as well as being totally tasty for your dog! 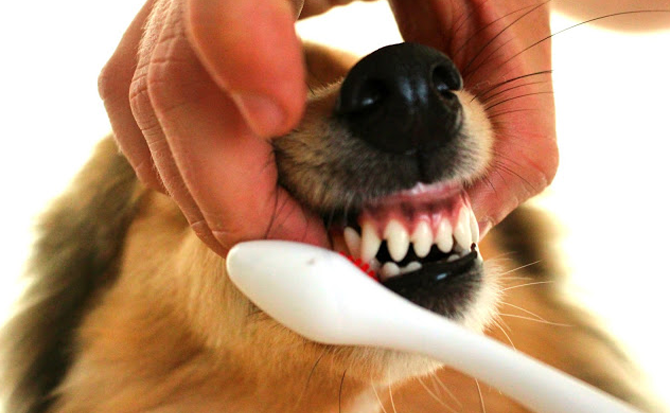 Like humans, dogs benefit from regular dental check-ups. Make sure your vet has a good look inside your dog’s mouth at least once a year. You can also arrange for them to have a thorough professional clean, a bit like going to the canine hygienist. If you see anything different about your dog’s mouth, or just have a sense that all isn’t right with their eating and chewing, contact the vet. If you’d simply like a chat about how good nutrition can benefit your dog’s oral health, please get in touch with us at Guru Pet Food.